2. 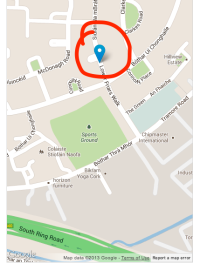 After selecting your ad type and entering in your contact details you will come to the map. 3. From the drop down menus select the county, followed by the area your property is located in. The map will zoom according to your selections. 4. Type the address in the text box. Then click "Map my property"
5. A pinpoint should appear on the property's location. If the pinpoint is accurate, you can drag the blue pointer to the correct location. 6. If we couldn't find a location for your property, a prompt box will appear asking you to pinpoint your property. 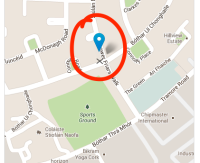 Simply click the correct location on the map and the blue pointer will appear. You can drag the pointer to another spot if necessary.